Valley Stream Union Free School District Thirteen’s James A. Dever Elementary School recently kicked off its Parents as Reading Partners program with an interactive assembly. 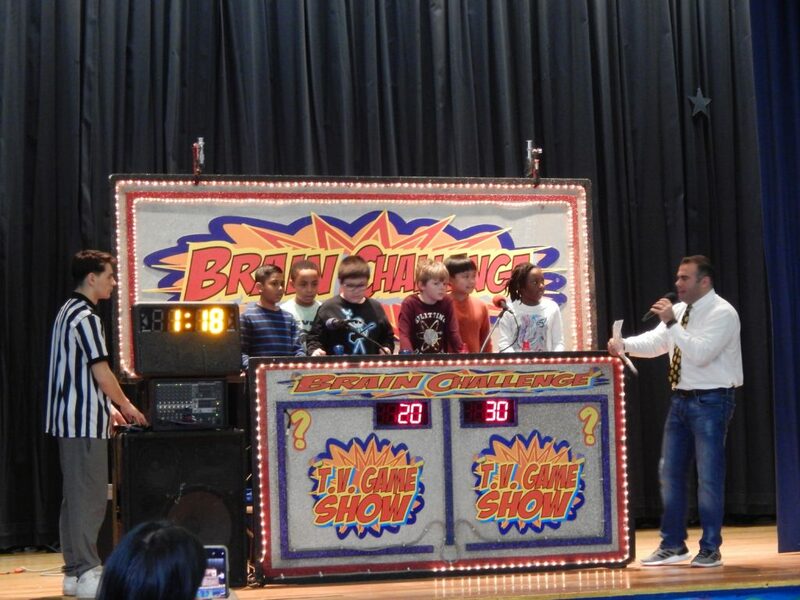 Students were treated to the ultimate game show experience known as the “Brain Challenge,” an activity designed to have students participating in tasks that emphasize teamwork and sportsmanship. Contestants are asked appropriate grade level questions, testing their listening, spelling and reading comprehension skills. The game show themed assembly also included a number of physical education challenges that had students moving and being active. James A. Dever Elementary School will continue to host events for the next two weeks highlighting the importance of students reading with their parents, culminating in a movie night for all participants. The District places an emphasis throughout the school year on students practicing their reading skills both in school and at home. For more information on the Valley Stream Union Free School District Thirteen, visit www.valleystream13.com.